Philippine President Rodrigo Duterte called Adolf Hitler “insane” during a visit to Israel’s national Holocaust memorial. The comments marked a dramatic turnaround for Mr Duterte, who just two years ago had compared his anti-drug campaign to the Holocaust and said he would be “happy to slaughter” 3 million addicts. He later apologised. 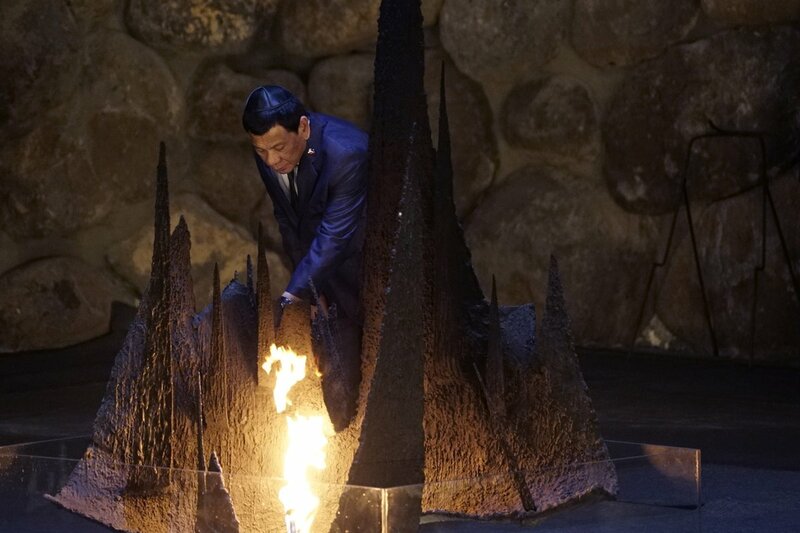 Mr Duterte, known for his profane outbursts and accused of committing widespread human rights abuses, spoke quietly and respectfully during his stop at the Yad Vashem memorial. He said the Holocaust should never be repeated and that “despots” have no place in the modern world. 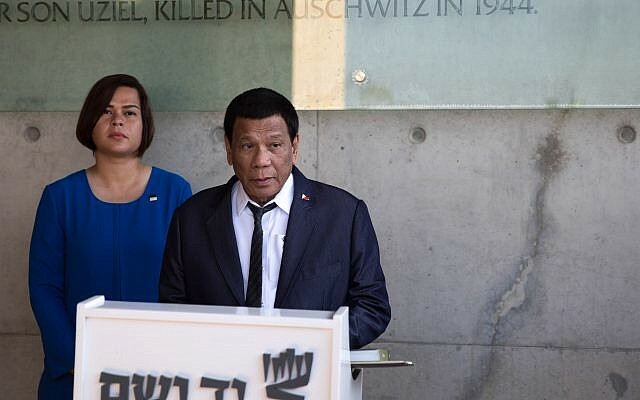 Mr Duterte, the first Philippine president to visit Israel, has received a warm welcome from the government, despite criticism that it is embracing a leader accused of rights abuses in his deadly crackdown on drug dealers. The agenda reportedly is also expected to include an arms sale to the Philippines. Mr Duterte and Israeli Prime Minister Benjamin Netanyahu oversaw the signing of three agreements in trade, science and care-giving. 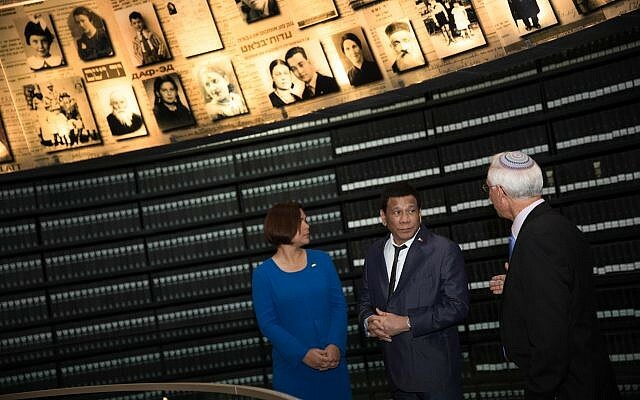 Mr Netanyahu highlighted the countries’ long friendship, how the Philippines took in Jewish refugees after the Second World War and was the only Asian nation to vote for Israel’s establishment. He noted how in recent years Filipino health aides have assisted the elderly in Israel, including Mr Netanyahu’s own father. 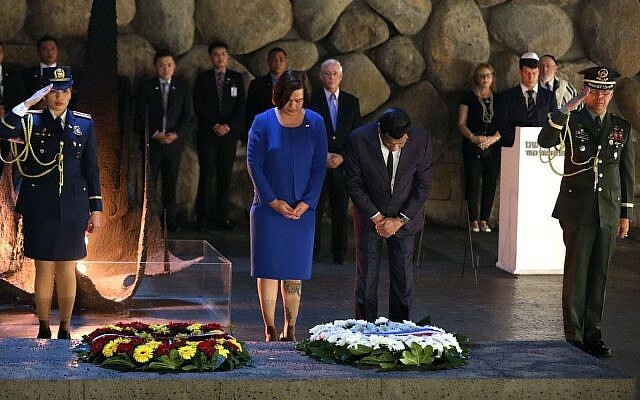 “We remember our friends, and that friendship has blossomed over the years and especially over the last few years,” Mr Netanyahu told Mr Duterte. 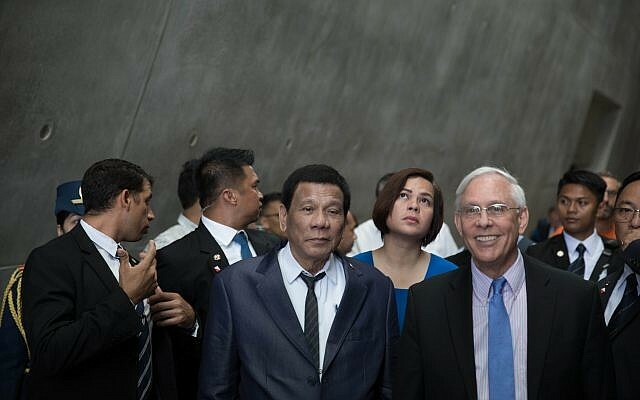 Mr Duterte thanked Israel for hosting some 28,000 Filipino workers and for assisting his country in its times of need. At a joint appearance with Mr Netanyahu, he said: “We share the same passion for peace, we share the same passion for human beings but also we share the same passion of not allowing our country to be destroyed by those who have the corrupt ideology, who know nothing but to kill and destroy. The two countries established diplomatic relations in 1957. Mr Netanyahu has worked to cultivate allies in Asia, Africa and Latin America, where many countries have historically shunned Israel over its treatment of the Palestinians. But Netanyahu has come under fire for embracing Mr Duterte, whose forces are accused of killing thousands in anti-drug raids since he took office in 2016. 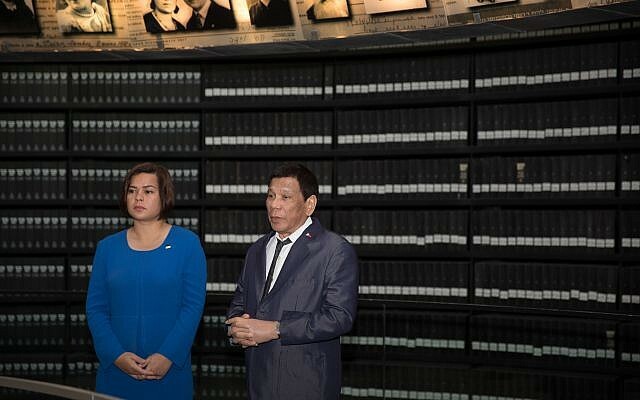 Mr Duterte drew outrage that year when he compared his anti-drug campaign to the Holocaust, and himself to Hitler, before being forced to apologise.